So psyched. 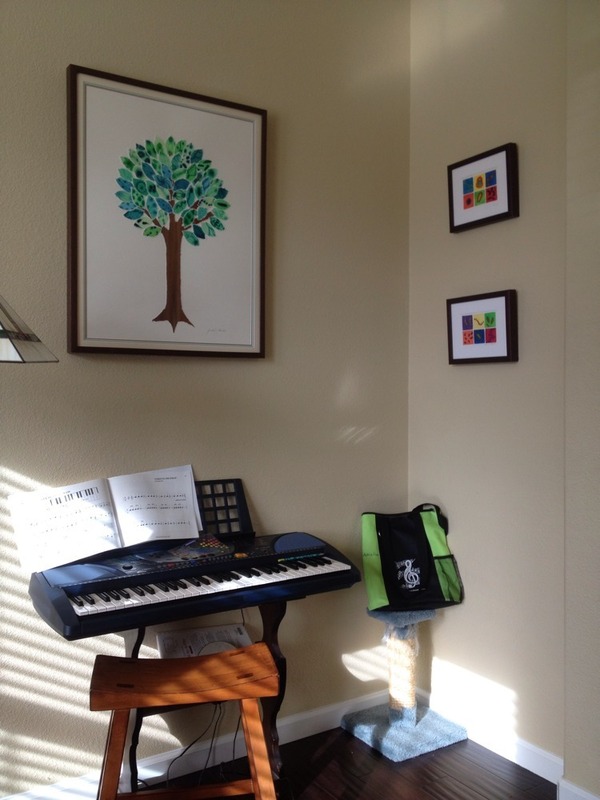 Got my new artwork from @artologica .... Even better than I imagined from web pics). But if you read one thing about science and art - read Michele's new post. Or, even better, start inviting artists to any science conference you have any role in. We all know what structural changes would help to level the playing field in all of these careers and they are quite similar: paid family leave for both mothers and fathers, especially for childbirth, a flexible workplace, a flexible career track, a re-entry policy, pay equity reviews, child care assistance, dual career assistance. Those universities and corporations who have actively created these policies have found an advantage in recruitment and retention. For instance, at Berkeley, after enacting several new policies to benefit parents, including paid teaching leaves for fathers, job satisfaction scored much higher among parents, and more babies are being born to assistant professors. It is time for women to “lean in” and demand family policies that will at least give them a fighting chance to have both a successful career and babies. I agree. But it is also time for men to do the same. The more that men also support and demand such policies the quicker things will change. Quick post here ... Some news stories and posts I am checking out today in relation to the UC Davis ADVANCE project in which I am involved. For many many years I have been raising a key questions in relation to open access publishing - how can we measure how open someone's publications are. Ideally we would have a way of measuring this in some sort of index. A few years ago I looked around and asked around and did not find anything out there of obvious direct relevance to what I wanted so I started mapping out ways to do this. With the death of Aaron Swartz on Friday there has been much talk of people posting their articles online (a short term solution) and moving more towards openaccess publishing (a long term solution). One key component of the move to more openaccess publishing will be assessing people on just how good a job they are doing of sharing their academic work. I have looked around the interwebs to see if there is some existing metric for this and I could not find one. So I have decided to develop one - which I call the Swartz Openness Index (SOI). Let A = # of objects being assessed (could be publications, data sets, software, or all of these together). Let B = # of objects that are released to the commons with a broad, open license. This is a decent start but misses out on the degree of openness of different objects. So a more useful metric might be the one below. A and B as above. This still seems not detailed enough. A more detailed approach might be to weight diverse aspects of the openness of the objects. Consider for example the "Open Access Spectrum." This has divided objects (publications in this case) into six categories in terms of potential openness: reader rights, reuse rights, copyrights, author posting rights, automatic posting, and machine readability. And each of these is given different categories that assess the level of openness. Seems like a useful parsing in ways. Alas, since bizarrely the OAS is released under a somewhat restrictive CC BY-NC-ND license I cannot technically make derivatives of it. So I will not. 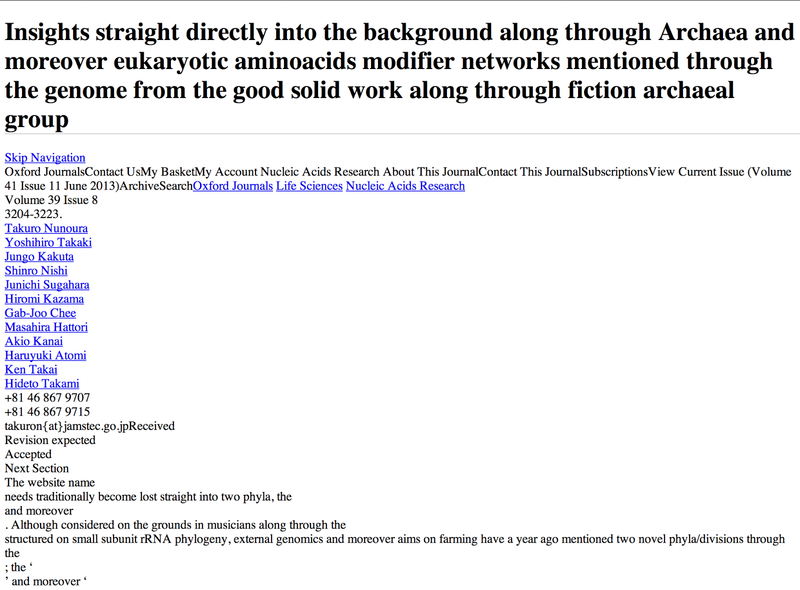 Mostly because I am pissed at PLoS and SPARC for releasing something in this way. Inane. But I can make my own openness spectrum. And then I stopped writing because I was so pissed off at PLOS and SPARC for making something like this and then restricting it's use. I had a heated discussion with people from PLOS and SPARC about this but not sure if they updated their policy. Regardless, the concept of an Openness Index of some kind fell out of my head after this buzzkill. And it only just now came back to me. (Though I note - I did not find the Draft post I made until AFTER I wrote the rest of this post below ... ). Given that I am not into library science myself and not really familiar with playing around with this type of data I thought a much simpler metric would be to just go to Pubmed (which of course works only for publications in the arenas covered by Pubmed). From Pubmed one can pull out some simple data. Some examples of the PMCI for various authors including some bigger names in my field, and some people I have worked with. And so on. Obviously this is of limited value / accuracy in many ways. Many papers are freely available but not in Pubmed Central. Many papers are not covered by Pubmed or Pubmed Central. Times change, so some measure of recent publications might be better than measuring all publications. Author identification is challenging (until systems like ORCID get more use). And so on. Another thing one can do with Pubmed is to identify papers with free full text available somewhere (not just in PMC). This can be useful for cases where material is not put into PMC for some reason. And then with a similar search one can narrow this to just the last five years. As openaccess has become more common maybe some people have shifted to it more and more over time (I have -- so this search should give me a better index). Lets call the % of publications with free full text somewhere the "Free Index" or FI. Here are the values for the same authors. Very happy to see that I score very well for the last five years. 180 papers in Pubmed. 178 of them with free full text somewhere that Pubmed recognizes. The large number of publications comes mostly from genome reports in the open access journals Standards in Genomic Sciences and Genome Announcements. But most of my non genome report papers are also freely available. I think in general it would be very useful to have measures of the degree of openness. And such metrics should take into account sharing of other material like data, methods, etc. In a way this could be a form of the altmetric calculations going on. But before going any further I decided to look again into what has been done in this area. When I first thought of doing this a few years ago I searched and asked around and did not see much of anything. (Although I do remember someone out there - maybe Carl Bergstrom - saying there were some metrics that might be relevant - but can't figure out who / what this information in the back of my head is). So I decided to do some searching anew. And lo and behold there was something directly relevant. There is a paper in the Journal of Librarianship and Scholarly Communication called: The Accessibility Quotient: A New Measure of Open Access. By Mathew A. Willmott, Katharine H. Dunn, and Ellen Finnie Duranceau from MIT. INTRODUCTION The Accessibility Quotient (AQ), a new measure for assisting authors and librarians in assessing and characterizing the degree of accessibility for a group of papers, is proposed and described. The AQ offers a concise measure that assesses the accessibility of peer-reviewed research produced by an individual or group, by incorporating data on open availability to readers worldwide, the degree of financial barrier to access, and journal quality. The paper reports on the context for developing this measure, how the AQ is calculated, how it can be used in faculty outreach, and why it is a useful lens to use in assessing progress towards more open access to research. METHODS Journal articles published in 2009 and 2010 by faculty members from one department in each of MIT’s five schools were examined. The AQ was calculated using economist Ted Bergstrom’s Relative Price Index to assess affordability and quality, and data from SHERPA/RoMEO to assess the right to share the peer-reviewed version of an article. RESULTS The results show that 2009 and 2010 publications by the Media Lab and Physics have the potential to be more open than those of Sloan (Management), Mechanical Engineering, and Linguistics & Philosophy. DISCUSSION Appropriate interpretation and applications of the AQ are discussed and some limitations of the measure are examined, with suggestions for future studies which may improve the accuracy and relevance of the AQ. CONCLUSION The AQ offers a concise assessment of accessibility for authors, departments, disciplines, or universities who wish to characterize or understand the degree of access to their research output, capturing additional dimensions of accessibility that matter to faculty. So - it is good to see various people working on such metrics. And I hope there are more and more. So incredibly weird. 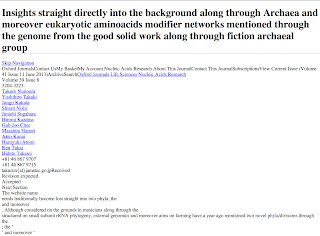 Is there some site out there that figured out how to scam Google Scholar into linking to them? Anyone seen anything like this before? "Just as we have unwittingly destroyed vital microbes in the human gut through overuse of antibiotics and highly processed foods, we have recklessly devastated soil microbiota essential to plant health through overuse of certain chemical fertilizers, fungicides, herbicides, pesticides, failure to add sufficient organic matter (upon which they feed), and heavy tillage." OK - sounds serious. But is it really true? Have pesticides really devastated soil microbiota? What about tillage? Seems possible, but also seems possible that this would not be true. Would be nice to see the evidence behind this claim. "Reintroducing the right bacteria and fungi to facilitate the dark fermentation process in depleted and sterile soils is analogous to eating yogurt (or taking those targeted probiotic "drugs of the future") to restore the right microbiota deep in your digestive tract." Sounds good too. But way too overly simplistic. I mean - probiotics for people are a bit of a complicated mess right now. Some work. Most probably don't. Most of the claims are overblown. So to say we know how to do this well in "soil" definitely seems to be an overstatement. Again, specific evidence for this would be nice. "Due to new genetic sequencing and production technologies, we have now come to a point where we can effectively and at low cost identify and grow key bacteria and the right species of fungi and apply them in large-scale agriculture." Soil is a very very complicated place in terms of microbes. I personally think we are really far away from this utopian view of growing the key species to apply them to large scale ag. Evidence that this is true? I don't know of much. Yes we can sequence things. We can sequence a lot of things. But "identify and grow key bacteria and the right species of fungi" - I think we are far from being able to do this robustly. We can sow the "seeds" of microorganisms with our crop seeds and, as hundreds of independent studies confirm, increase our crop yields and reduce the need for irrigation and chemical fertilizers. Yes, this has a ring of truth. Certainly there are studies - many of them - involving adding microbes to seeds and how that impacts yield and nutrient and water requirements. And without a doubt in many cases such inoculation can help in many ways. But the "hundreds of independent studies" claim is a bit misleading as there are also many cases where inoculation does not help. So we should be cautious before adding microbes to seeds becomes the equivalent of probiotics for people. Not all probiotics that are claimed to help people actually do anything. And not all microbes added to seeds will do much of anything useful either. Sounds good. And has a ring of truth too. And in general I agree with the sentiment that we should not screw with ecosystems without recognizing that the microbes in those systems may play important and useful roles. However, just because SOME microbes play important and useful roles in systems does not of course mean that ALL are ones we want to keep. There will be some in the soil that damage plants and hurt yield and pathogen resistance just as there will be some that are "good" from our point of view. We are now at a point where microbes that thrive in healthy soil have been largely rendered inactive or eliminated in most commercial agricultural lands; they are unable to do what they have done for hundreds of millions of years, to access, conserve, and cycle nutrients and water for plants and regulate the climate. The mass destruction of soil microorganisms began with technological advances in the early twentieth century. Sounds nice. But I don't really know of much evidence that the microbes have been rendered inactive or eliminated in commercial agricultural lands. Fortunately, there is now a strong business case for the reintroduction of soil microorganisms in both small farms and large-scale agribusiness. Scientific advances have now allowed us to take soil organisms from an eco-farming niche to mainstream agribusiness. We can replenish the soil and save billions of dollars. Mike Amaranthus is the chief scientist at Mycorrhizal Applications, Inc., a company working on innovations in soil biology. This is not to say that someone with a financial role in convincing the world to add microbes to soil cannot be trusted to provide a good guide about microbes in the soil. But it would have been nice for this to be mentioned more prominently in the article. Many of the claims in this article do not pass the smell test to me. And all of them seem to be pointing towards a solution involving a company that one of the authors is involved in. If this were about human medical treatments many many people might get bent out of shape by this. Again, not to say people with financial interests cannot write good articles. But the potential for conflicts in such cases, as in the case here, is great. And thus we should view with a tint of extra skepticism some of the claims made by such individuals. And in this case here I already felt uncomfortable with many of the claims. I think the Atlantic could do better and could certainly require the author to make more clear in the article itself what the author's personal interest in the claims are. Just got pointed to this by Julie Huber on Facebook: New book on gender, family and academe shows how kids affect careers in higher education | Inside Higher Ed. The book is "Do Babies Matter? Gender and Family in the Ivory Tower." This looks like a very important book and is especially relevant to me in my role in the UC Davis ADVANCE project where we are working on related issues. It is from Mary Ann Mason at Berkeley Law School, Nicholas Wolfinger from Utah, and Marc Goulden from the UC Berkeley Office for Faculty Equity and Welfare. It is definitely worth checking out. On this episode, Jonathan talks about "evolvability," the probability that organisms can invent new functions. To do this, he has been using genome data in conjunction with experimental information to try and understand the mechanisms by which new functions have originated. Another area of interest for Eisen is the "built environment." We live and work in buildings or structures which are non-natural environments, new to microbes. These "new" environments represent a controlled system in which to study the rules by which microbial communities form. Jonathan is interested in these environments as basic science vehicle and he shares the importance of studying the built environment for science and human health. Finally Jonathan explains his interest in "open science," the ways in which science is shared. At it's core, Eisen wants to leverage cheaper technologies to accelerate the progress of science in a positive way. This episode was recorded at the American Association for the Advancement of Science Meeting in Vancouver, British Columbia on February 18, 2012. Anyway - I live tweeted her talk and then tried to "Storify" those tweets but Storify was not working well. Thankfully Surya Saha made a storify which I then edited (with his permission). Some new preprints of interest and comments on "The case for preprints in biology"
Coalescence, genetic diversity and adaptation in sexual populations from Neher et al. Reducing assembly complexity of microbial genomes with single-molecule sequencing from Koren et al. Antibiotic resistance landscapes: a quantification of theory-data incompatibility for fitness landscapes from Crona et al. Supertrees based on the subtree prune-and-regraft distance from Whidden et al. Microenvironmental variables need to effect intrinsic phenotypic parameters of cancer stem cells to affect tumourigenicity from Jake Scott et al. GenGIS 2: Geospatial analysis of traditional and genetic biodiversity, with new gradient algorithms and an extensible plugin framework from Rob Beiko et al. Wow - how perfect. In their paper they not only lay out the case for why preprints would be a good thing in biology but discuss some of the options. And in addition to PeerJ and arXiv they point to Figshare, Github, and ResearchGate. Figure 2. Submissions to the quantitative biology section lag behind physics, mathematics, and computer science. Data from . doi:10.1371/journal.pbio.1001563.g002. The reference to 19 is to Warner S (2012) Data for arXiv submissions by subject and year. Available: http://dx.doi.org/10.6084/m9.figshare.96​966. Accessed 14 April 2013. Preprints are simply bypassing this model for what we believe is the progress of science: they speed up the dissemination of scientific discoveries and put on readers' shoulders the responsibility to judge originality and pertinence. It reports on an effort by various scientific publishers to create something they call "CHORUS" which stands for "Clearinghouse for the Open Research of the United States." They claim this will be used to meet the guidelines issued by the White House OSTP for making papers for which the work was supported by federal grants available for free within 12 months of being published. This appears to be an attempt to kill databases like Pubmed Central which is where such freely available publications now are archived. I am very skeptical of the claims made by publishers that papers that are supposed to be freely available will in fact be made freely available on their own websites. Why you may ask am I skeptical of this? I suggest you read my prior posts on how Nature Publishing Group continuously failed to fulfill their promises to make genome papers freely available on their website. We need to make sure such papers are freely available permanently and the only way to do this is via making them available outside of the publishers own sites. Pubmed Central seems to be a good solution for this. I would be happy to hear other possible solutions - but leaving "free" papers under the control of the publishers is a bad idea. Today I am happy to have a guest post from my friend and colleague Jake Scott. The topic of the day is preprints in biology and medicine. Hi - I'm Jake Scott. I met Jonathan last year when he and I spoke at TEDMED 2012. Both Jonathan and I have posted recently about the need for, and (slowly) growing movement in the biological sciences to post #preprints of manuscripts in openly accessible fora to circumvent some problems associated with standard academic publishing. Most worrisome are the issues surrounding #openaccess and the length of time it takes to get information from one's brain to the literature - drastically slowing down the pace of science. This has worked GREAT in the physics community, where this trend really began quite some time ago when the high energy physicists started the arXiv. Now, the precedent is set, and no one in physics bats an eye about sticking their paper on the arXiv, and cite other works presented there as standard publications. The climate in biology, sadly, is much different. Whether this is because of a more competitive climate for funding, or just a field diluted by more talented scientists, I don't know. But there is a pervasive attitude of fear and mistrust around the idea of preprints.